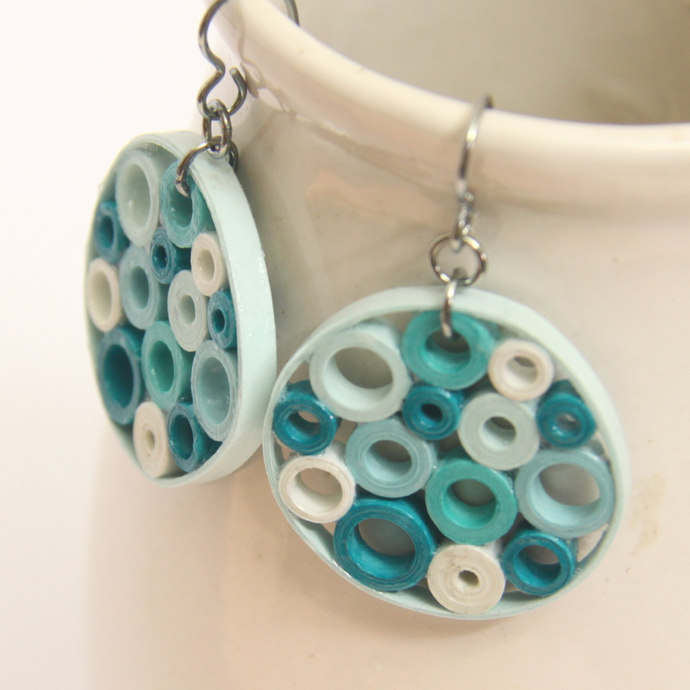 These fun aqua bubbles earrings are the perfect gift! The beautiful circles pattern in bright aqua is eye catching and modern. These earrings are eco friendly and handmade by the art of paper quilling and make a great unique gift! These special earrings are finished with niobium findings. Why niobium? It is as hypoallergenic as pure gold and non tarnish! I have sensitive ears and only wear niobium earrings now with no irritation. I love it! The great thing about paper quilled earrings is that they are lightweight! So even though these are fairly large earrings they are as light as a feather! No sagging earlobes with these earrings! They are carefully hand varnished in several layers for a sturdy, water resistant finish. 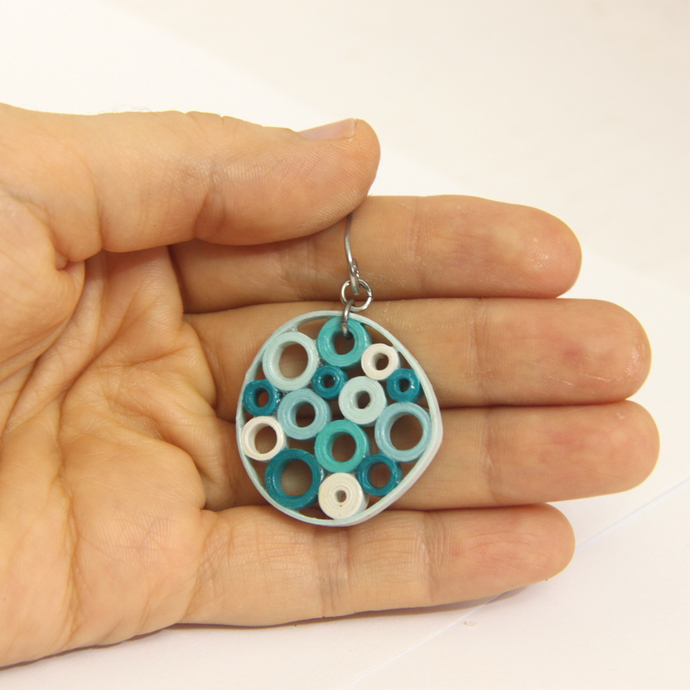 Each earring measures 1 1/8" (2.8cm) wide and long, not including the earwires or jump rings.